The Magic Canvas is a great piece of magic. "If you're looking for a practical, esthetic and effective appearance of your partner, this is one of the very best on the market." The sipping is not free for this products. Special price for the shipping. The Magic Canvas is a great piece of magic and theatrical equipment and comes complete with everything you need to perform the effect right away: a painted frame is located on an easel. It's taken away (showing the empty easel) and replaced by a blank frame. 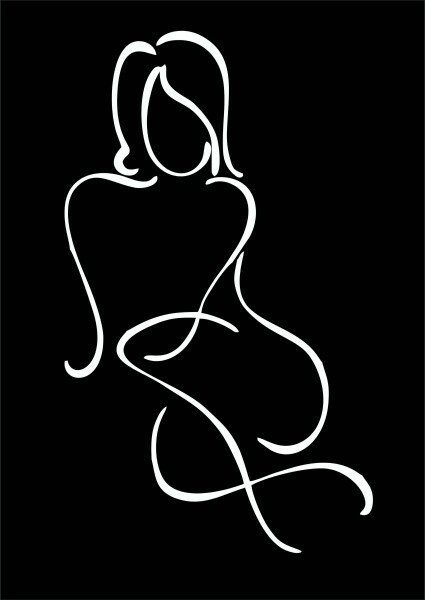 The magician then skillfully draws the outline of a beautiful girl with a piece of chalk. A cloth is whisked at the drawing and in less than a second the picture disapears and out comes your beautiful assistant! As an added bonus, there are also extra gimmicks to make the illusion even more powerful using black art lighthing. For a small investment you can get one of the best and audience tested illusions on the market today. 2.The piece of fabric attached on the right side of the easel used to hide the assistant from the side. 3. What size is the illusion once disassembled? How quick is set up? 3. To set up the props you need 10 min. The size: one tube 20x140cm and one box 65x65x13cm. 4. What is the total height of the easel once assembled? 4. The total height of the easel once assembled is 180cm. their actual size and do they need to be assembled? 5. The actual size of the framed canvas is 110x80cm. The frame is assembled. 6. What are the sightlines like? Can you have audience on the side? 6. Desirable have an angle of a review 110-120 degrees. 7. Is there a maximum height/weight for the assistant? 7. The assistant have to be no more then 170cm and 60kg. 8.After every perfomance, you have to wash the picture and then you can use it again and again. 9. Minimum 15 min. Depend on conditions. You can dry it by fan. 10. We provide one peace of chalk. 11. Do you have to perform it in front of a black background? 11. You can use a black background but it is not necessary. the full effect. As you can see on the video (from TV5 France). Shipping, so we trust you will honour that. 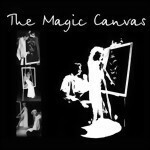 (the Magic Canvas, the Lady Levitation, the Magic Umbrella and others). know the exact address of delivery then we can tell the exact shipping cost. 14. What guarantee do you give? 14. Guarantee is 10 years, if carry out the props.